GoodFellas (or Goodfellas, I never got which was technically correct) I always have felt to be the polar opposite of another quintessential mobster movie (The Godfather). 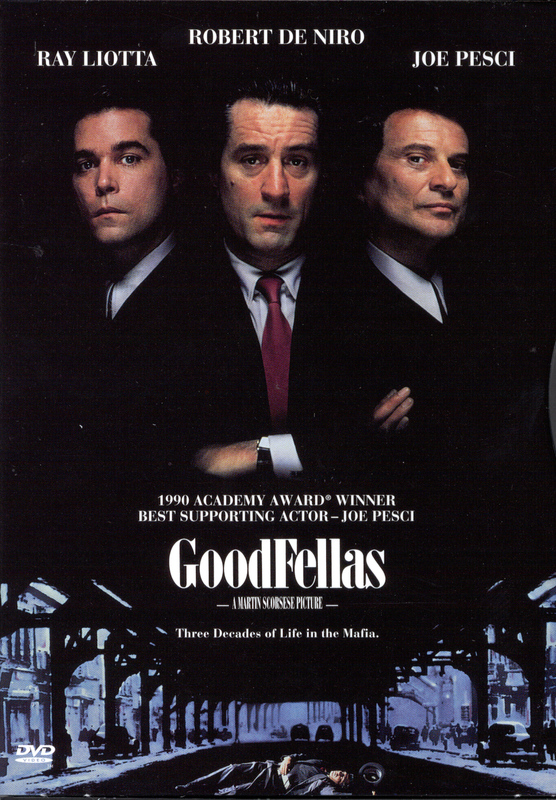 While the Francis Ford Coppola epic portrays the Mafia in all its resplendent glory, its opulent homes and themes of family loyalty, Martin Scorsese's Goodfellas was the Mob at the lower to middle level, the enforcers who did the actual work. It also is about disloyalty, as Henry Hill (Ray Liotta) ultimately rats out everyone he knows to save himself. Still, in the time Hill was in the Mob, we get a world few of us will ever encounter: the sometimes fascinating, sometimes horrifying world of those who see crime as not just a wealthy endeavor, but as something to aspire to. In the words of Hill's voice-over, 'as far back as I can remember, I always wanted to be a gangster'. We hear Hill tell us how the world of the gangster, so close to his home, so fascinated and drew him. It was his goal to be part of the world of underworld crime, and he did what few people do: he actually worked for his dreams (as twisted as they might have been). Of course, to Hill's point of view, he only saw the style, the glamour, the respect, the ease to which these wiseguys or goodfellas got what they wanted. All the other activities (the stealing, the murder, the terrorizing of others) were incidental, just part of the job. He soon has a mentor in James Conway (Robert DeNiro) and a friend in the hair-trigger tempered Tommy DeVito (Joe Pesci). Hill rises in the organization, even going through initiation of sorts when he's arrested. The main boss, Paul Cicero (Paul Sorvino) looks on with pride while Conway praises him by giving him two pieces of advise: Never rat on your friends, and always keep your mouth shut. Hill is a total workaholic, not interested in romance (it would be a surprise if he went beyond a one-night stand if that given his total devotion to the Mob). As such, when Tommy wants him to double-date with his girl's friend, Hill is openly contemptuous of Karen (Lorainne Bracco), going so far as to ditch her on their second double date. At first highly hurt, Karen becomes infuriated, going so far as to force Tommy to take her to Henry's hangout and ripping into him. Soon, eventual sparks fly between them. He soon starts seeing that she is good for him, and that little detail of him not being Jewish is papered over. Hill isn't too bothered by the discrepancy between them: he himself is a product of a mixed marriage (Irish father, Sicilian mother...hence the name of Hill to our Mafioso). However, their romance is fraught with tension, some from his work (and her growing participation in it) and some from his private life. Karen can be a bit unstable at times and never quite fit in with all the other Mob wives (finding them vapid and tacky). Hill getting a mistress does not help matters. In any case, Hill and Company pull of many crimes, but it's Tommy that sets the trigger for all their downfalls. Tommy took umbrage at someone he thought was mocking him too hard, so he and Jimmy killed him. Hill didn't strike any blows, but was there and made sure the door was locked. Only one problem: the man they killed had been 'made', so in theory and practice he was protected and untouchable by other mobsters unless a higher-up gave the go-ahead (which was certainly not the case). Eventually, Hill's involvement with cocaine (on a professional and personal level) cause him all sorts of problems. He keeps this dirty sideline secret from Pauly (who detests the drug trade) and his growing addiction and paranoia are making him sloppy and unstable. Conway at first is thrilled to hear Tommy is to be 'made' (as a part-Irish, Jimmy cannot be made due to not being 100% Sicilian), but it's all a rouse: Tommy is whacked for killing the made man. This, along with Hill's arrest for drug transporting and his fears of being ratted out, make him almost unhinged. He tries to get Karen killed, but her suspicions about where he has nice dresses for her and her mother keep her from danger. Henry suspects that a hit Jimmy offers him is really a set-up to get Henry bumped off. With everything to lose, Henry and Karen Hill go to the Witness Protection Program, where he rats out everyone he knows. All the privileges he knew, all the glamour and easy living...all gone. In his words, he's now a schmuck who has to wait in line...just like everybody else. 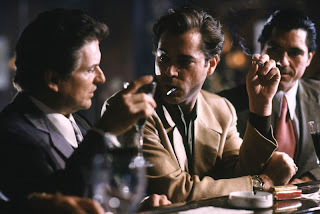 Goodfellas isn't just a great movie because of its story (adapted from the nonfiction book Wiseguy by Scorsese and Wiseguy author Nicholas Pileggi). That is a major part of the success of the film: we are instantly drawn into this netherworld of crime the same way Hill was: by seeing this world as something fascinating, thrilling, far above the mundane life most people live. Certainly there is something to being a minor who can get a group of grown men to so threaten and terrify a mailman that he stops bringing in ALL mail rather than inadvertently deliver a truant letter. 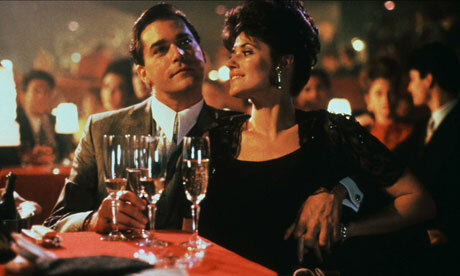 Rather, there are so many other elements in Goodfellas that raises this to an extraordinary picture. Scorsese does two things here that few filmmakers are able to do. The first is use voice-over. Voice-over, my longtime readers know, is a bane of my filmgoing experience. So many times voice-over is used as clunky exposition or worse, foreshadowing. It is a lazy way to tell a story. Few films have managed voice-over successfully (Sunset Boulevard, Blade Runner), but even those we get hints that the voice-over is used to further the plot along. With Goodfellas, the voice-over is true narration. It tells the Hill's story from both sides. 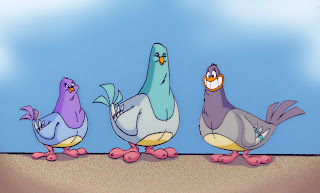 While Liotta's Henry Hill carries the weight of voice-over, Bracco's Karen comes in on occasion and tells us about how she wound up with a man she loves but can't find what to do with. The narration works because it comes straight, as if Henry and Karen Hill were really having a conversation with us. We hear things from their point of view, while never attempting to paint themselves in a positive light. They speak their minds and don't pretend to do otherwise. The second brilliant thing Scorsese does is use music throughout the film. I don't mean a score, but pop songs that are both appropriate to the times and tell so much about the characters and their situations. Straight from the opening when we hear Tony Bennett's Rags to Riches we are both put in the time when the story takes place AND we learn about who these people are and the situations they are in. In Rags to Riches, we can imagine this song wafting through Hill's neighborhood as he dreams of becoming a gangster (the greatest thing in the world to him). There is the famous Copacabana sequence where Henry takes Karen on a date (I think their first formal one). To The Crystals Then He Kissed Me, we get a bravura sequence where in one long uninterrupted take Henry squires Karen across the street down the stairs past the kitchen to the very front of the club where a table magically appears for them. First, it sets the time brilliantly, and it also subliminally describes Karen's growing fascination and passion for Henry. Same with The Shangri-La's Leader of the Pack. You can imagine that the mob wives would be hearing this as they discuss the disappointment their kids are while getting manicures at one of their homes, but it also perfectly describes all their fates; they too are now with 'the leader of the pack', and at least for Karen it is a tough adjustment. Every use of music, right down to The Rolling Stones' Gimme Shelter (Scorsese's unofficial theme song) fits in to both the time and to what the story is saying. Scorsese also brings out all the best in his actors. I don't think Liotta has been better in anything: he goes from cocky to paranoid, giving a full range of a man who has some semblance of good but is too far gone to ever be good. Pesci, in his Oscar-winning performance, is a volcano of fury as Tommy, reckless and nearly demented, unfeeling and uncaring about anyone and anything save perhaps his mother. DeNiro similarly as Jimmy has swagger but also becomes fearful by the end; though not as wild-eyed and unhinged as Henry, his fears include a cold and calculating manner, making him more terrifying. Bracco goes from heartbroken to furious to wide-eyed to embittered and even a bit crazy as Karen. I'd be remiss to not mention both the editing of Scorsese's longtime editor Thelma Schoonmaker or the camera work of Michael Ballhaus, both of whom create fast-paced imagery which ranges from the mundane (the boredom of the housewives) to the frightening (the people Jimmy in his paranoia about being exposed for a major heist starts taking care of) and the amazing (Hill's growing paranoia about the helicopters and his insanely busy day that ends with his arrest). Fortunately, I have this on my DVR, and after reading your review, it makes me want to see it even more. Excellent review!